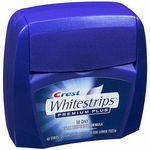 I use this product periodically to prevent and fix coffee stains on my teeth and maintain a white smile. I use these every four days & they are GREAT!! I've used this product three times and each time I can see at least a one shade whiter difference when using it. 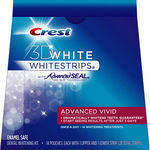 I absolutely love to whiten my teeth with Crest Whitestrips Vivid!! I can achieve the whiteness I want in usually 4-5 days! I have learned to "dry" my teeth off before applying the strip!! I have tried other kinds and am never as happy with the results!! Best way to whiten my teeth!! I am a coffee lover, I drink coffee everyday which is bad for my teeth then I search for the crest whitening strip and toothpaste let me tell you it's MAGIC!! I use this product about every 3 days. I love how easy it is to use and how white my teeth look. I get so many compliment on the whiteness of my teeth. And it last. I can stop using it for weeks and they'll still be white. I don't even have to have it on for long for it to work. Amazing product. 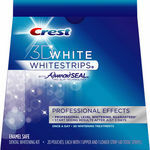 Crest 3D White Whitestrips are wonderful to use during the summer months only. I learned that the hard way because I purchased them during the winter. Every time the wind would blow my teeth would hurt. I have to admit my teeth are very white but I felt pain using the product. If you do purchase them during the summer. Avoid eating ice cream and drinking cold water. Other than that, I would definitely buy them again and recommend them to my friends. It seems to be a product that works, but there are definitely repercussions to it. It definitely burns your gums, and turned my gums white. Effectiveness It works, but another problem with them are the strips are not long enough. With these being so expensive, I would assume they'd make them long enough to cover more than the front part of your mouth. Convenience Too long Minimal Side Effects The white gums can be a little embarrassing. 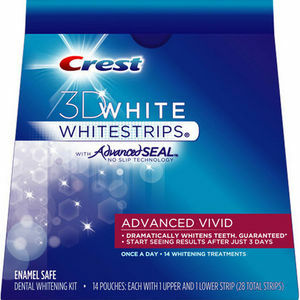 I've been using crest white strips for years ever since I got my braces removed. 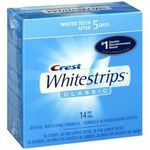 the first time I tried it it worked amazingly I could not believe how white my teeth were. 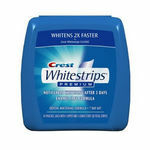 Every year after I have been using crest white strips and lately I've picked up one of these and it's works very well. It not only kept my teeth white but my teeth were whiter than before. It is very easy to apply and use that it really does not take a lot out of my day to use them. It works better than before and it keeps my teeth so clean that people do not believe that I did not have work done. I've gotten so many compliments from people and they are baffled when I tell them I have only used these to achieve a perfectly white smile. I would definitely recommend this to other people to use, as I have already recommended to friends. It works for me so why wouldn't it do the same for you? Why wouldn't you want a nice white smile?